Claire Britten's training never prepared her for this--the forensic psychology curriculum didn't cover plane crashes. Or how to help fellow survivors cope, seven frightened people huddled in two small rafts awaiting a rescue that may never come. Especially when three of them are your ex-husband, your young daughter--and the man you love, Nick Markwood, whose pursuit by a criminal mastermind forced you all to run in the first place. When the bedraggled crew finally reaches dry land, they are still far from safe. Nick tries to secure transport to their witness-protection placement, urging everyone to stick to the identities laid out for them. They don't need any complications. But when danger follows them to their supposed safe haven, Claire and Nick no longer know who is helping or harming them. Racked by doubt and mistrust, still hunted, they must band together--or fall. 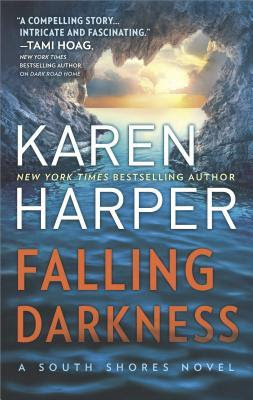 FALLING DARKNESS is the third book in the South Shores series but I have to admit that I was rather impressed by how well it stands on its own. I had the opportunity to read the first book but somehow skipped over the second. Even so, I didn't feel lost and immediately became engrossed in the book. Ms. Harper has done a wonderful job with the characters. They are all ones I found easy to emphasize with enough that I was holding my breath during some of the tense scenes. I am especially impressed by Claire who is such a strong woman even with all of her rather unique medical issues. I also feel bad for Jace, Claire's ex-husband, because what could be worse then being stuck with your ex-wife who you are still in love with and her new husband? The plot also flows at a nice pace and will keep you turning the pages just to find out who did what. The dialogue is witty and amusing in places. I also found the ending to be rather satisfying. 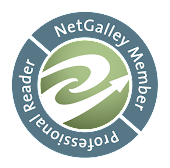 I do recommend this book to my readers who enjoy romantic suspense. I do want to issue a warning though that there is some violent scenes in this book so perhaps not appropriate for younger readers.